Easy Detox tips that don't require starving yourself! Doing these ten detox tips listed below regularly, can have powerful cleansing effects on the body. It can also help jumpstart the body, recharge, rejuvenate, and renew the body as well. It’s also been shown to be good for your mind and skin as well. Detoxing from the inside out can serve many body benefits, including clearer, healthier skin, improved focus, better mental clarity, and less brain fog! 2. Be mindful of the products you use on your skin body and hair. Phthalates and parabens are often found in shampoos, so make sure you use a shampoo that is free of these toxic chemicals that are weighing down your body. Also, use natural and organic skincare products, since anything that comes in contact with your skin is making its way into your body where they are stored as toxins that will need to be removed. 3. Get plenty of sleep and rest. When your body is relaxed and well-rested, it’s naturally in a better state to rid itself of toxins. Meditating and practicing deep breathing are also great ways to help relax the body. 4. Get moving! Exercise is a great way to help the body naturally rid itself of toxins. Yoga twists and downward poses such as the downward dog are especially helpful for helping aid the body in the release of toxins. 5. Take a relaxing detox bath. Add Epsom salt and/or apple cider vinegar which are two ingredients that also work to help detox the body. Dry Brush before hopping in, which also helps improve circulation of the skin as well as helps detox it too. 6. Get some sun! Vitamin D we get from the sun is also a natural detox for the body. 7. Limit Caffeine and alcohol and instead, Drink lots of filtered water. Tap water can contain toxins you’re body will have to work harder to get rid of, so be sure your water is filtered. Water is the most natural way to flush the system and help rid the body of junk that has been building up. 8. Drink a detox tea. Tealyra premium teas, specifically the detox tea- contains powerful blends with ingredients such as green tea, which is known to help aid in weightloss, and oolong tea, which is known for its fat-blocking effects as well as its cleansing/detox benefits. Oolong has also been shown to help the body remove free radicals. You will also find gingerroot, lemon myrtle, lemongrass, fennel seed, and goji berries which are known for helping to flush out and purify the body, as well as cleanse the liver, kidneys and digestive tract. These natural ingredients also reduce the build-up of harmful free radicals. 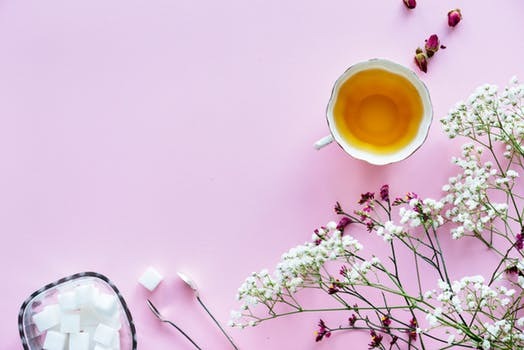 These teas are not only super easy to drink for a quick cleansing and detox of the body, but they are incredibly yummy and many are caffeine-free too! 9. Visit the Sauna. Like exercising, working up a sweat helps flush out toxins that have been stored in the body. Visit a sauna regularly, especially if you’re not working up much of a sweat while working out! 10. Take a probiotic. Aiding the gut in removing toxins is a great way to get some immediate detoxification. As they say, disease starts in the gut and by giving it a healthy dose of gut bacteria, you can help your body more easily remove toxins- in turn improving overall health. *It’s also important to note that when you start doing some of these detox tips, you may start to feel worse before you feel better. This is natural as this is the process of your body ridding itself of toxins that have been built up for awhile. The release of toxins from the body can sometimes be unpleasant before you start feeling better again! There are many easy, natural things you can do daily or weekly to help aid your body in removing toxins without having to take on a full-out week-long detox with lots of restriction. Make good healthy choices, eat right, get plenty of rest and exercise at least thirty minutes three times a week, and you’ll be well on your way to removing toxins naturally and helping your body function at it’s best. Add in some (or all!) of these tips where you see fit, to help give your body an extra boost when it’s feeling a bit sluggish or you’re not feeling like your usual energetic self!